This is a very common running injury. It causes pain around the front of the knee. It can arise secondary to excess stress on the kneecap from pressure overload and patella mal-tracking. From beginners to advanced runners the injury can occur to anyone. Typically the pain increase during activities involving stair climbing, squatting or kneeling. The pain is caused by an irritation on the undersurface of the patella or knee cap, the pain is usually located at the front of the knee and feels to be under the knee cap (Patella). There are many causes for that condition, including malalignment of the lower extremity expressed as flat or instable feet, knock knees, or internally rotated hips. The patella glides up and down in a shallow groove at the front of the femur or thigh bone. The pain is generally caused when the patella does not track properly inside that groove. 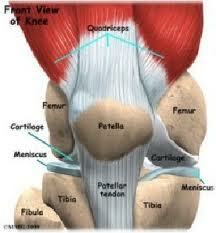 Other causes for patella femoral syndrome include weak quadriceps muscles, injury to the knee, obesity and overuse. Initial treatment involves reducing inflammation and re-establishing the proper alignment between the knee cap and its groove. Rest is used for the painful swollen knee until symptoms improve. Stair climbing and squatting are avoided. Ice and anti-inflammatory medications are also used to decrease inflammation. Treatment is directed at strengthening the thigh muscles of the inside of the knee and stretching of the tight muscles and connective tissues of the outside of the knee. Malalignments of the flat feet are corrected with shoes with good medial arch support or through the use of orthotics.